How to Cook a Pumpkin: A GIF Tutorial - What’s for Dinner? Pumpkins are more than a canvas for your jack-o’-lantern. 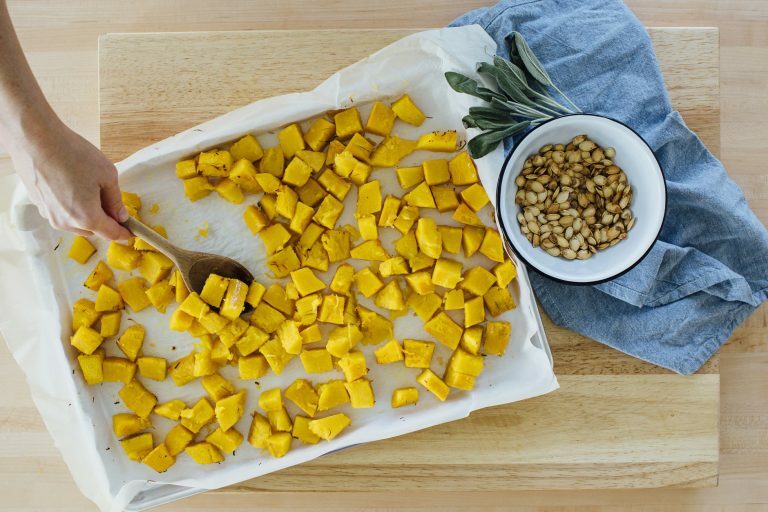 This seasonal squash is one of the best ways to add a distinct fall flavor to any recipe. Plus, they offer a host of health benefits, like boosted vision, lower blood pressure, and improved sleep. 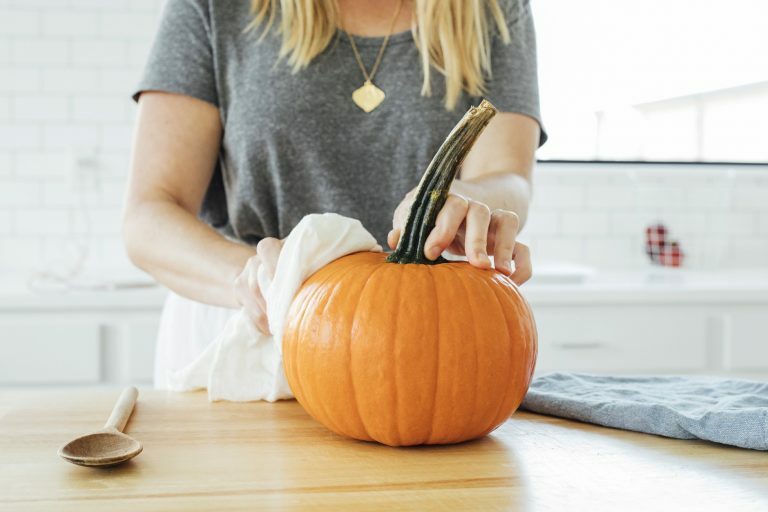 Step 1: Wash your pumpkin, paying attention to any hidden clods of dirt. Dry it well so you have a good grip when cutting. 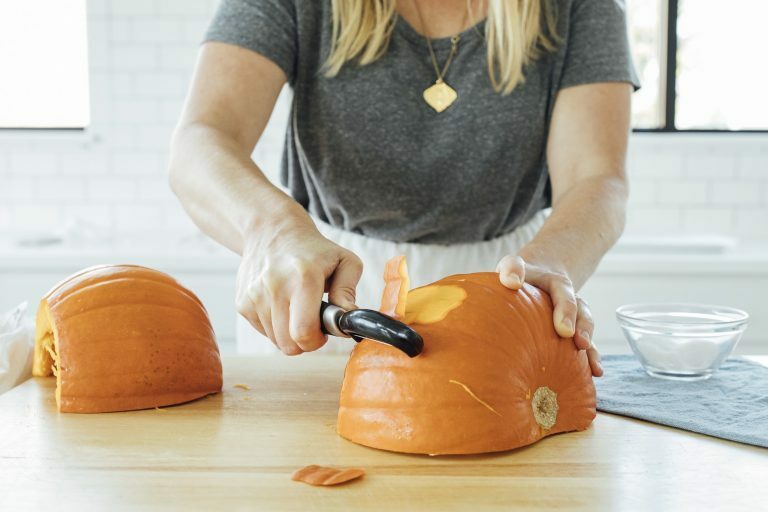 Step 2: If you have a large or very round pumpkin, carefully cut off the bottom so that it sits flat and stable. If you have a stem that won’t come off, cut off the top. Step 3: Place the flattest side on the cutting board. Cut the pumpkin in half from stem to bottom. Step 4: Use a large spoon to scoop out the seeds. 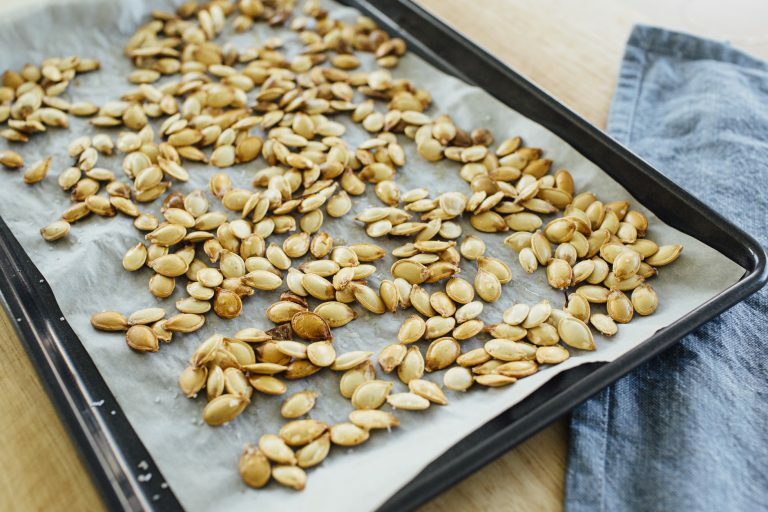 Set the seeds aside to roast and eat later. Step 5: Place half of the pumpkin flat side down on the cutting board. Use a vegetable peeler to remove the skin. Repeat with the other half. 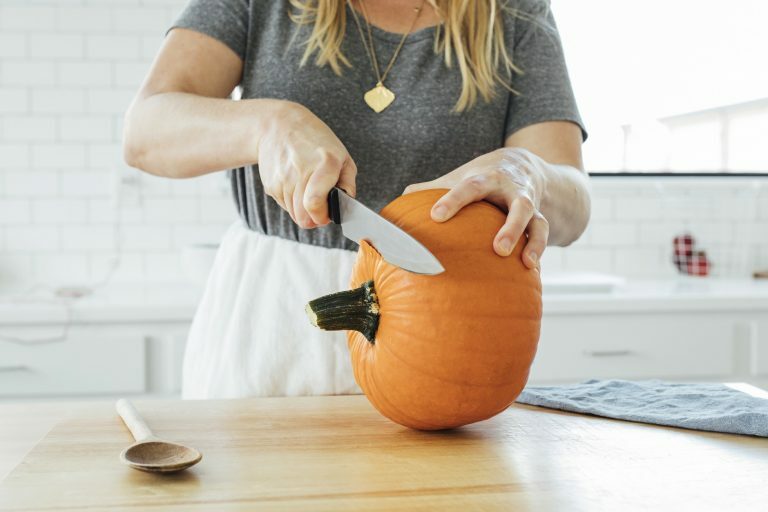 Step 6: Cut the pumpkin into your desired size. 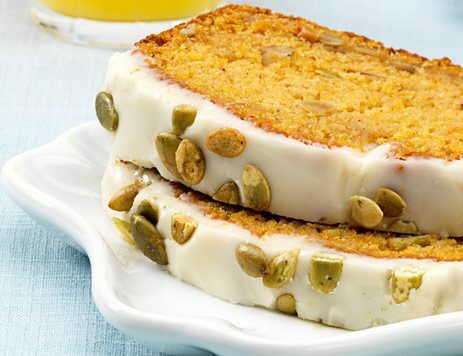 Place pumpkin pieces on a baking sheet. Drizzle with olive oil, sprinkle with salt, and bake at 400°F until tender. Toss with other roasted veggies. Chop up parsnips, yams, carrots, and onions to make a delicious vegetable medley. Add to a grain bowl along with other vegetables. Try grilled portobello, onion, zucchini, carrot and avocado. Use as a hearty topper on salads or stews. Sprinkle with salt, pepper, and your favorite herbs to serve as a side dish. Rinse and pat dry. Spread on parchment-covered baking sheet, drizzle with olive oil, and sprinkle with salt. Bake at 400°F. You’ll know the seeds are ready when they become plump and brown. 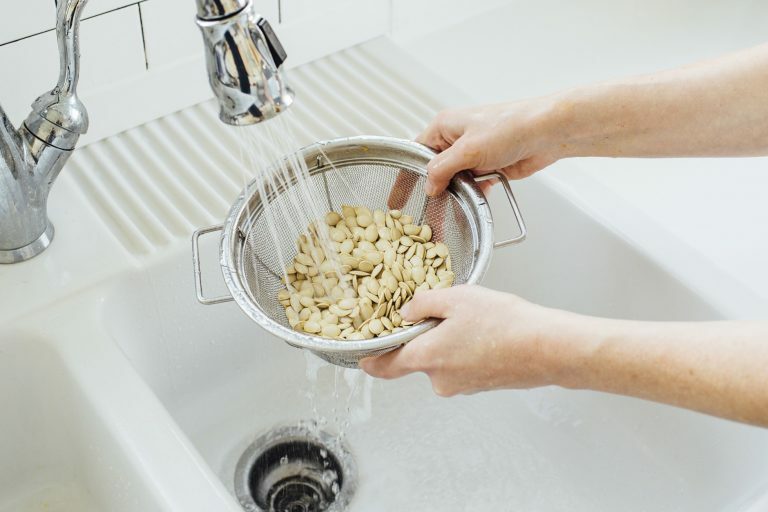 Toss with salt and enjoy as a snack. Use as a topping for salads or soups. Add to baking recipes like cookies, breads, etc. 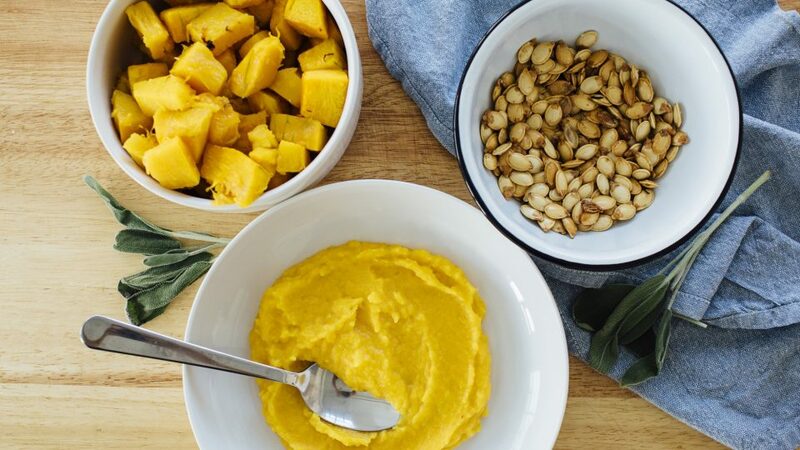 Instead of buying canned pumpkin, you can also make your own puree. Simply blend pumpkin — roasted or steamed — with butter, cream, salt, and pepper until smooth. Add a little water to get the texture you desire. Leftovers freeze well and are handy for future meals. 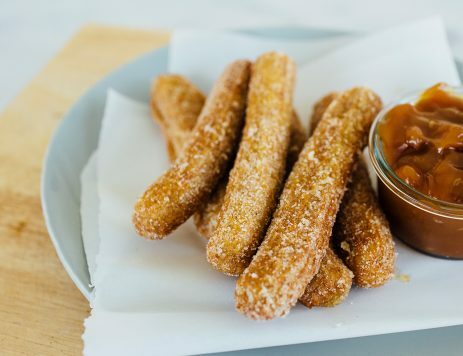 Mix into baking batter for churros, breads, waffles, and baked goods. Stir into comfort foods like macaroni and cheese, fondue, and soups.